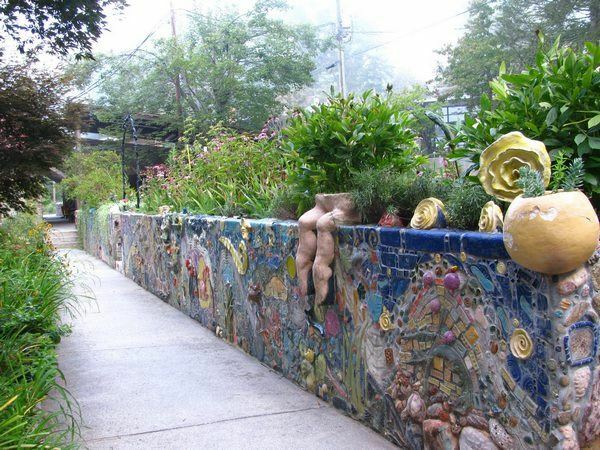 How to choose inexpensive materials for a garden wall? 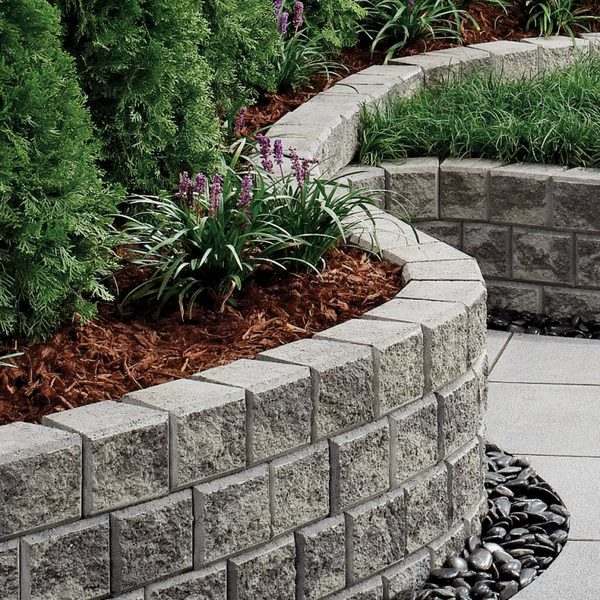 Cheap retaining wall ideas feature a variety of materials which are budget friendly and we shall have a quick review on the most popular ones. 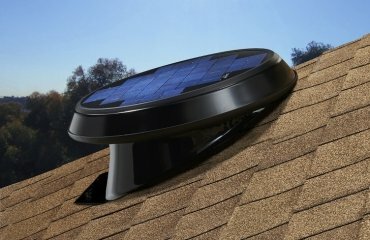 In order to provide an attractive appearance and uniqueness in the yard, people and come up with very original solutions. 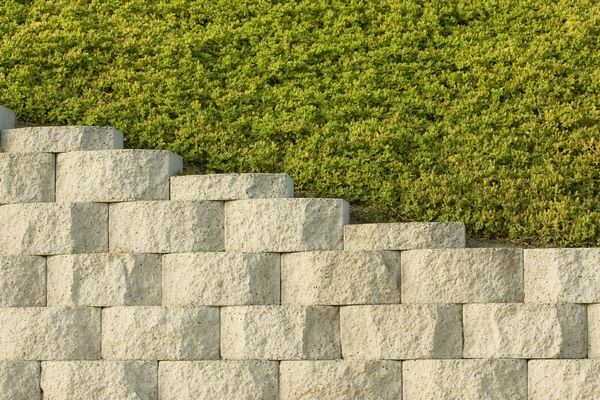 It is true that hill landscaping is a challenging task and it is so much easier to arrange an even area, but before you level your plot, think of the many opportunities that your uneven relief provides for your creativity. 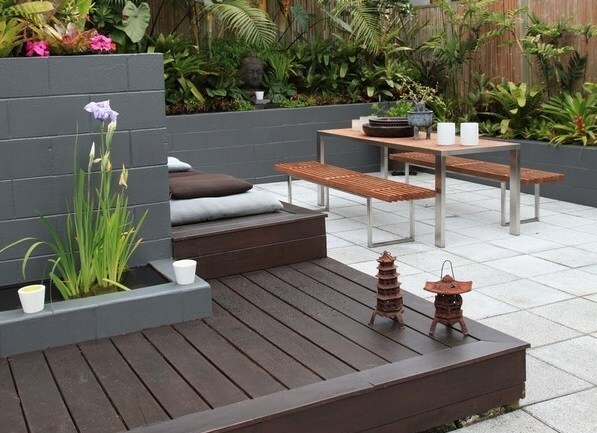 We selected some inspiring ideas which will give you a chance to construct a functional retaining garden wall without breaking the bank! 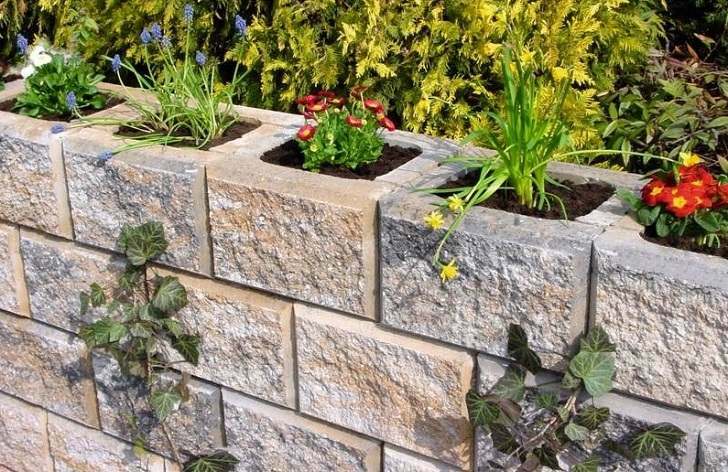 Looking for cheap retaining wall ideas, people seldom think of cinder blocks, but they are a great construction material and can be used not only for building a garden wall, but for constructing a variety of outdoor furniture items, a garden privacy fence, etc. Cinder blocks are a mixture of cement, various types of aggregates, and water and have many advantages. The affordable price is just one of their pros. In addition, cinder blocks are lightweight, durable, easy to install, fireproof, etc. 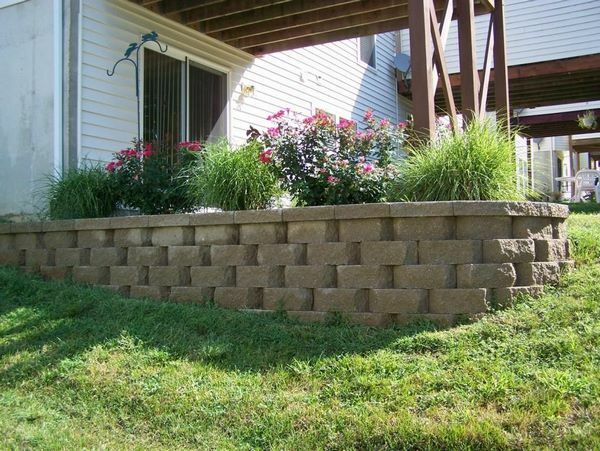 They can be manufactured in different colors and textures which is very good news for those homeowners who are concerned about the visual appeal of their cinder blocks retaining wall. When you plan the construction you need to buy enough cinder blocks for the length and height of your wall. Good measurements are essential, since cinder blocks come in different sizes. Typically, the blocks are arranged horizontally, but you can be creative with the design and opt for more interesting ideas. 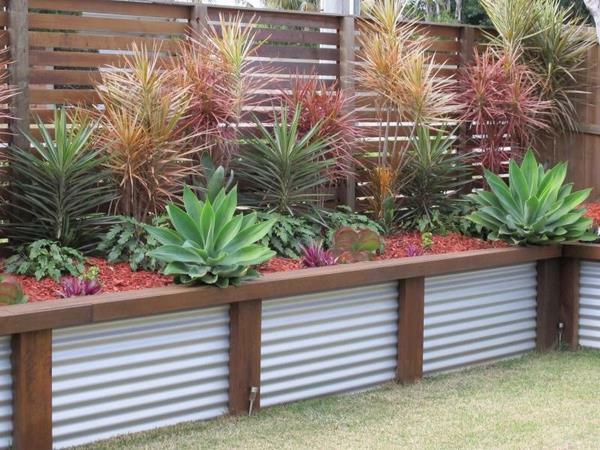 Here is another creative idea – metal sheets and (optionally) corrugated metal sheets. 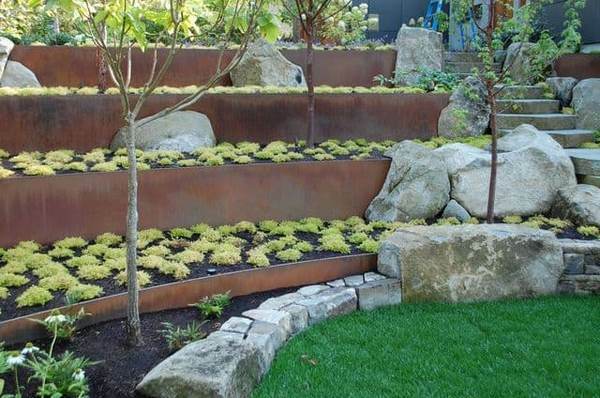 Metal retaining walls are suitable for lower constructions which are built on stable soil. 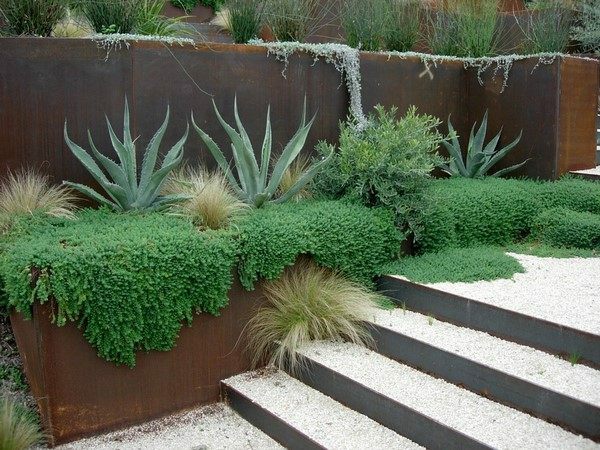 Such ideas with steel sheets can perfect be for the construction of decorative walls and will work for traditional and modern landscapes. 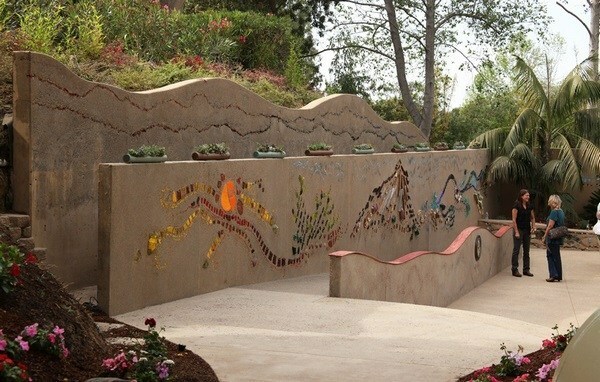 To enhance the design, you can use an option with a concrete foundation and mount the metal over the concrete. 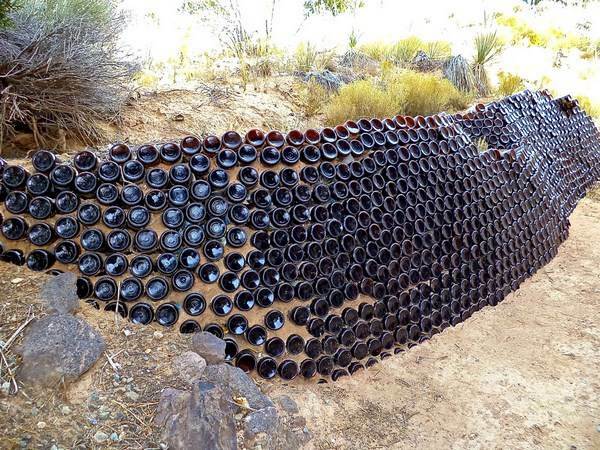 Upcycling old car tires – this is, probably, one of the cheapest materials. 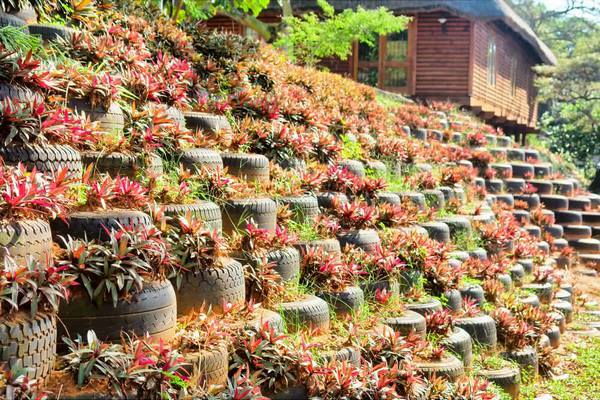 Most often, when building a retaining wall, old car tires are arranged horizontally. The tires are fastened with piles with flexible clamps, with plastic wire between each other. Additionally large filler stones fix the neighboring tires. The stability of such construction is additionally provided by the weight of the soil filling the tires. 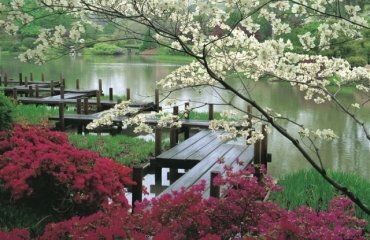 To improve the appearance you can plant ornamental plants. Use recycled materials. 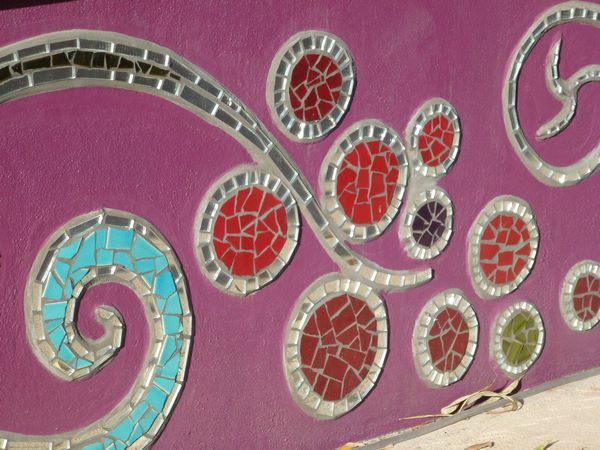 They can be found even for free – for example broken concrete, timber from old constructions, old bricks or even damaged bricks can be arranged into a beautiful and original wall. The reliability of the retaining structure is the most important parameter, but you should not forget about the decorative appearance of the wall. 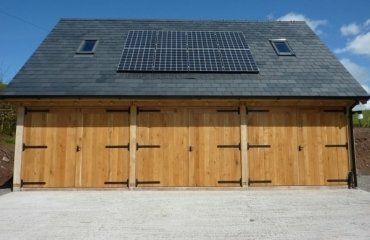 An inexpensive material does not mean that you have to look at an ugly construction. 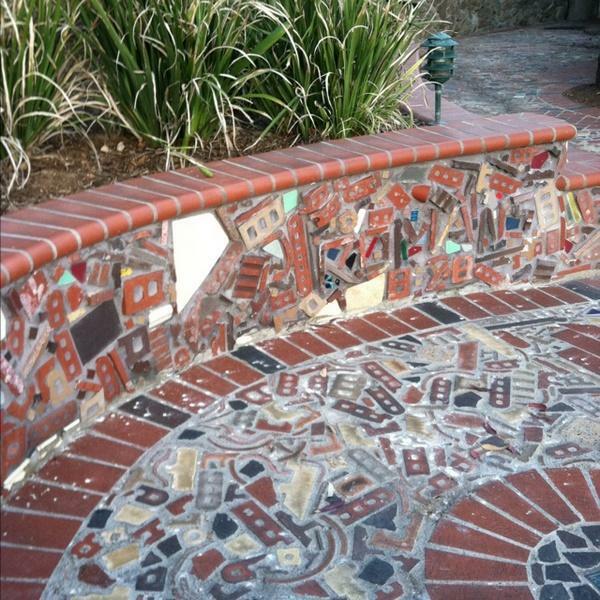 You can combine different materials and elements or choose to apply a finish. The most common methods are plastering, painting and texturing and each of them can transform the look of a cheap garden wall. Plaster can hide all unprofessional masonry defects and if you want a specific color or a more artistic look – just paint it in the desired shade. 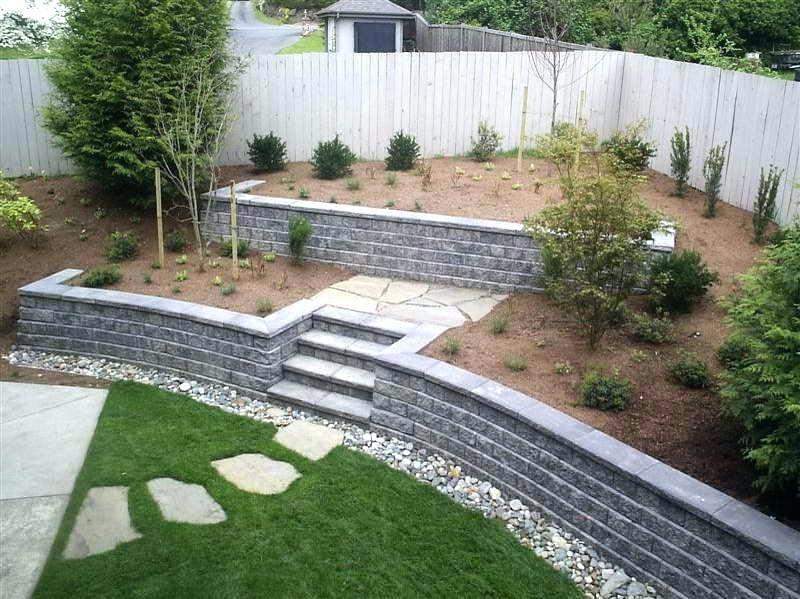 Combined retaining walls are also a good option for decorative terracing. 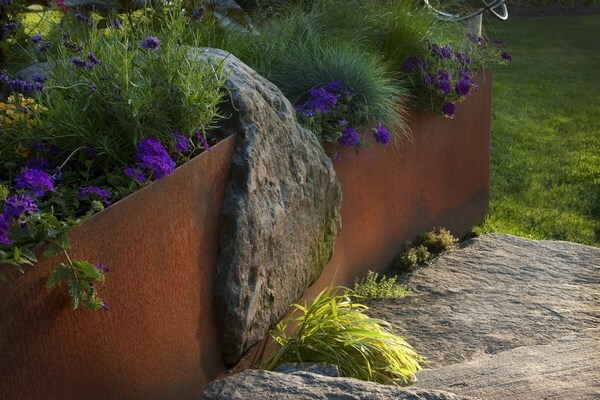 In addition to texture diversity in the landscape design of the site, combining different types of materials will help reduce the overall cost. Integrating other architectural elements will make a cheap wall look much more impressive. You can combine retaining structures with stairs, benches, waterfalls, outdoor lights, etc. 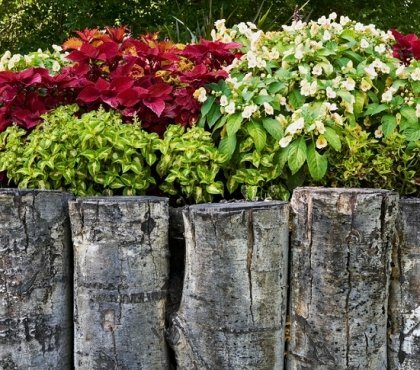 Decorative plants and flowers are a great way to beautify any retaining wall. 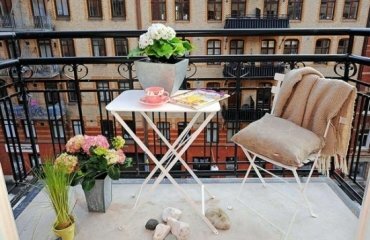 You can choose different length varieties, use hanging and weaving plants, arrange special niches in the wall design for planters or simply hang baskets of flowers.